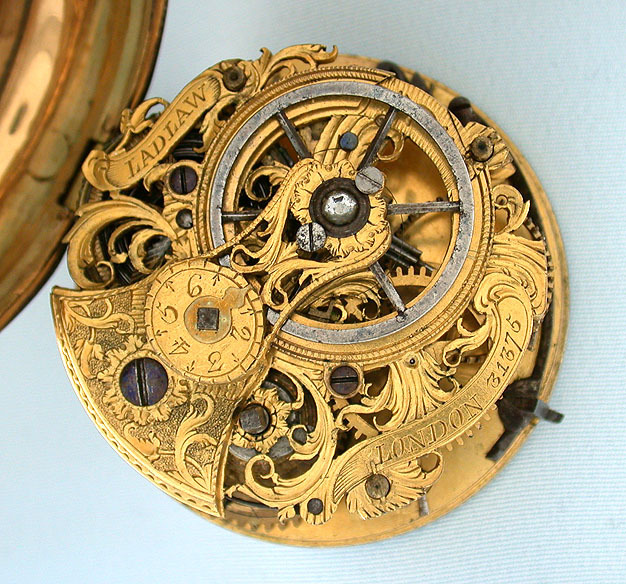 Interesting skeleton verge movement circa 1760 with a painted biblical enamel panel circa 1600 in a purpose made gilt case. 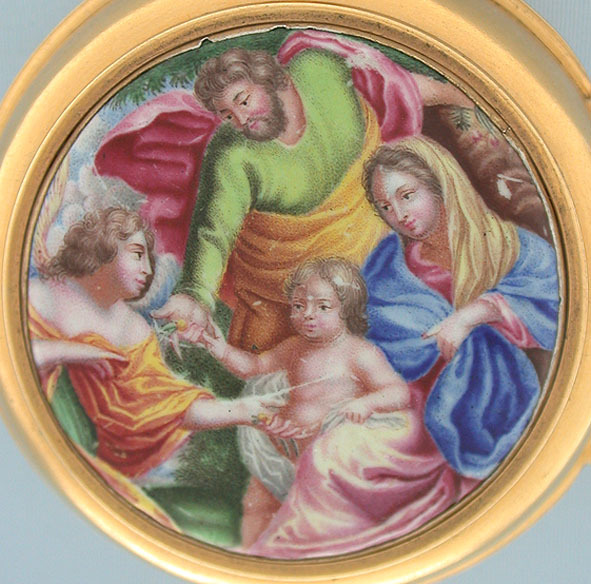 The beautifully painted enamel in bright colors. Typical scratches and insignificant tiny chips. 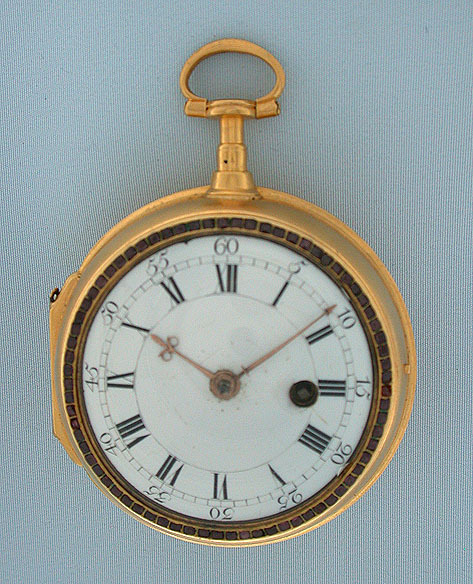 White enamel dial with gold beetle and poker hands. 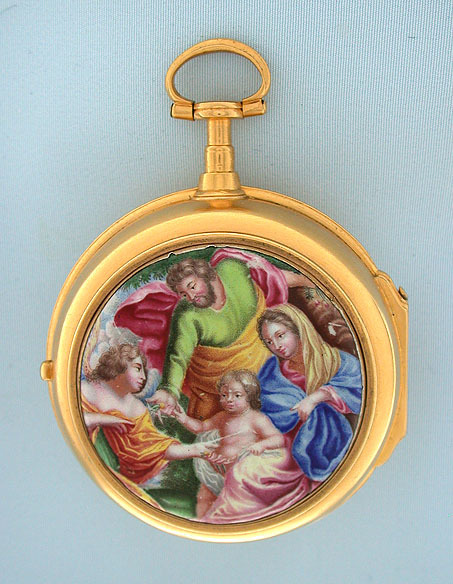 The case with stone set bezel. 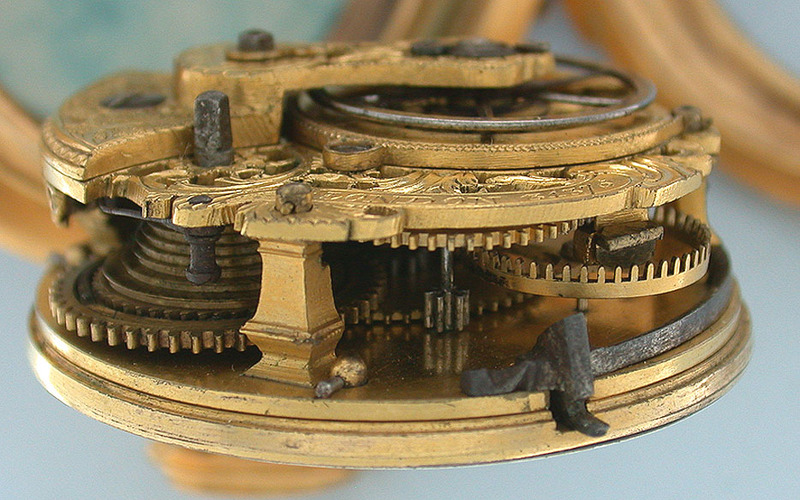 Fine skeletonized verge and fusee movement with diamond cap jewel by Laidlaw, London.